Hudson Group has just opened a new River Island store at Level 1, Bay Street, St Julian’s. This new store, based on the brand’s latest concept design, is the second River Island store opened by Hudson in Malta. Like the River Island store at The Point, this new store will present a fresh, flexible and surprising brand experience for clients, embodying the wow factor that is so engrained in River Island’s DNA. The store will host the latest trends of the season for women including Sloane, which boasts preppy highlights of blue and red and the Chain print. Other featured styles include 1980s monochrome dressing accented with zebra print, neon, and of course River Island’s signature heritage tones of rich chocolate accented with animal prints. Every woman can find denim cuts to fit their curves, or jeans to fit any occasion be it day-time wear or for that special weekend outing. The opening was celebrated with an official launch which welcomed numerous members of the public, fashion influencers, top clients as well as Hudson staff. River Island is renowned for its stylish and affordable fashion. Its unique touches enable the brand to stand out from the rest of the high street. 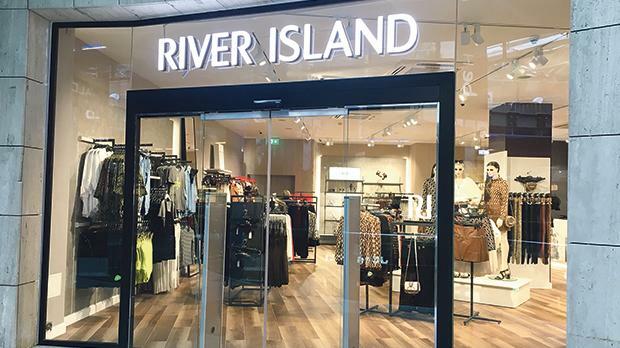 River Island is the ultimate destination for great going-out looks and occasion wear, amazing denim and fabulous bags and shoes. Great design is at the heart of all that River Island do and its unfailing goal is to present its clientele with new and original fashion. With over 350 stores across the UK, Ireland and internationally throughout Asia, the Middle East and Europe, River Island is the ultimate destination for the fashion forward and edgy modern woman. Hudson Group is an international retailer and distributor primarily involved in the sport and fashion wear sectors. The group’s head office is located in Malta but is also present through offices in Italy, Spain, Morocco, Tunisia and Algeria. Though Hudson Holdings was founded in 2006, the group’s roots reach as far back as 1987 when the first pair of Nike was sold in Malta.